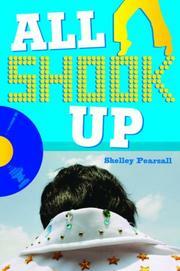 All shook up / Shelley Pearsall. 100 ME:PersonalName 1 $a Personal name Pearsall, Shelley. $c Statement of responsibility Shelley Pearsall. 520 Summary $a Summary, etc. note When thirteen-year-old Josh goes to stay with his father in Chicago for a few months, he discovers--to his horror--that his dad has become an Elvis impersonator.